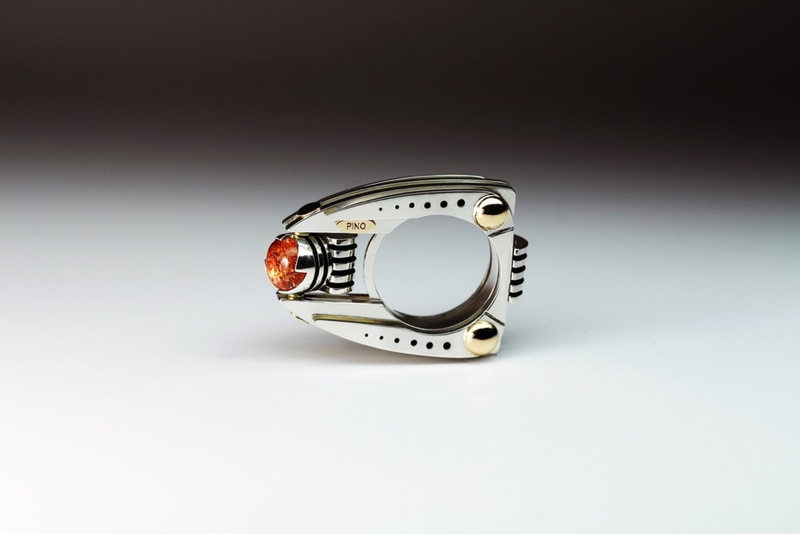 Claudio Pino creates sculptural and kinetic rings, fabricated from precious metals and luscious gemstones. 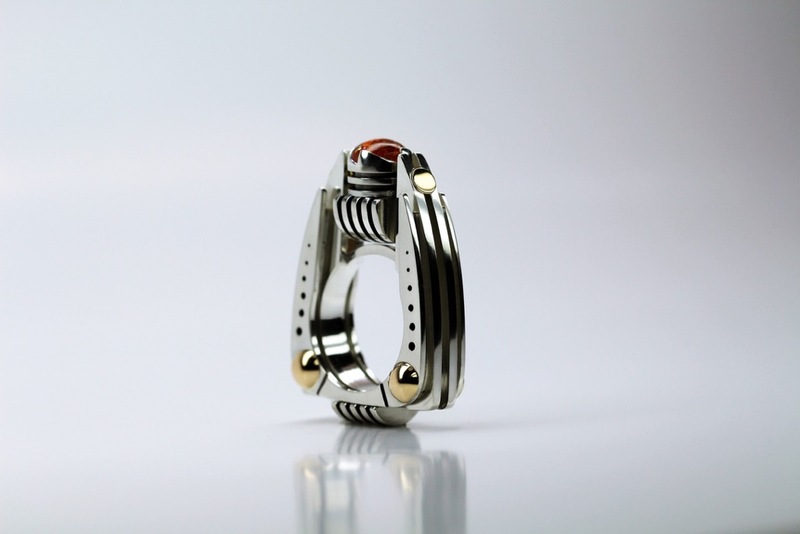 His rings are mysteriously poetic and provocatively multilayered objects inspired by the vastness of nature as well as ancient myth and legend. 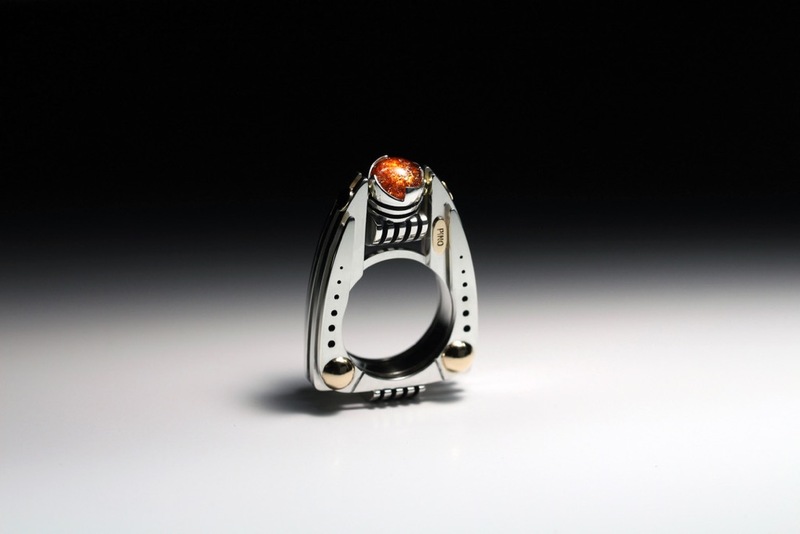 Each piece is a joy to wear and in the artist’s words, “come[s] alive only when [it finds its] owner.” Pino has been the recipient of numerous prestigious awards, been exhibited in several Museums internationally and in 2015, his work was selected to appear in a major film.